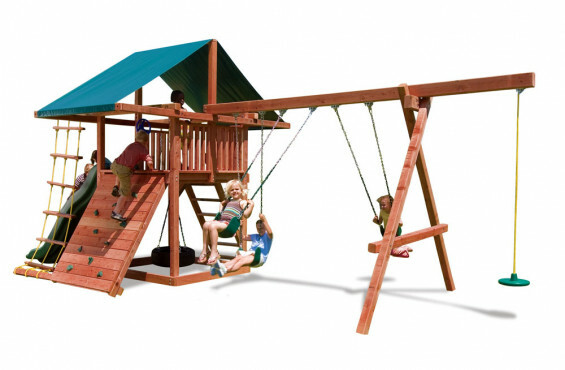 Stained for lasting richness, our line of redwood playsets are built for adventure, safety and years of play. 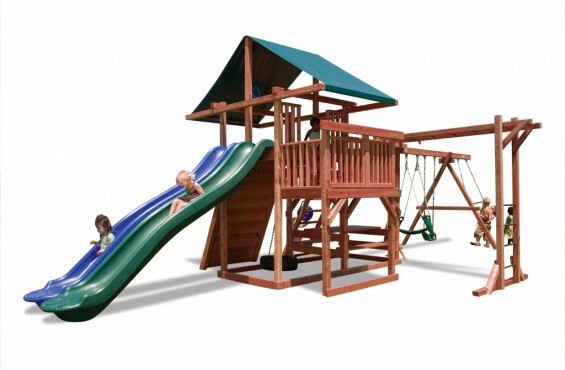 The Premier series features thicker wood components, 4 position swing beams, 10 and 14 ft. slides and is crafted right here in the U.S.A. 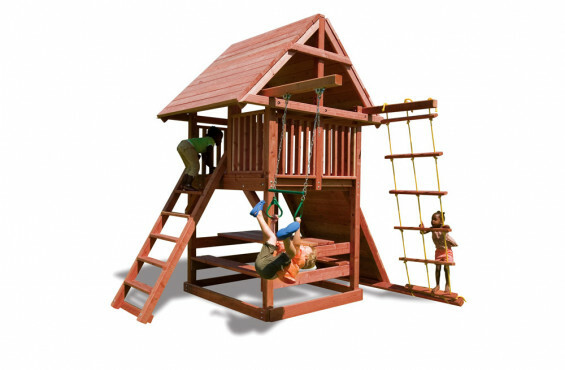 In addition to swinging to new heights with their friends, our line of redwood playsets will inspire children’s imagination. 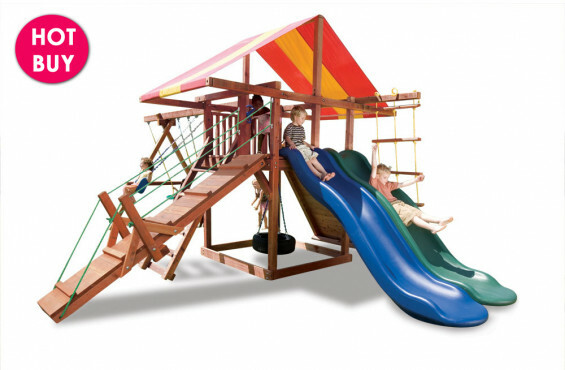 With a drawbridge, telescope, steering wheel and binoculars available in this series, your child will be entertained from sunrise to sunset. Let's face it, being a parent is a tough job. Between working, picking up kids from school and grocery shopping, it can be quite stressful. 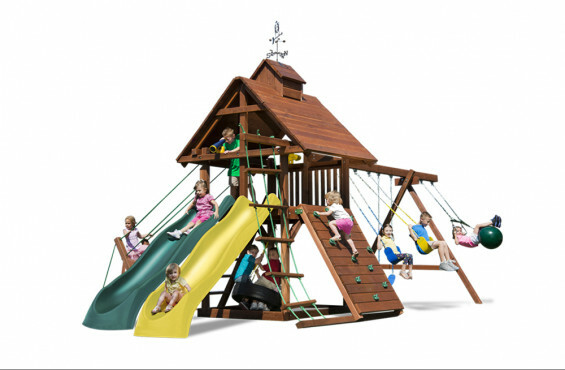 Having a strong and safe playset will go long ways to eliminate some of the unnessary stress. 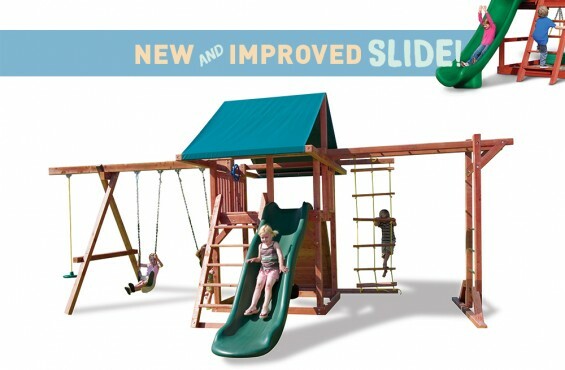 Using our state of the art technology, all playsets are pre-cut, ready for assembly. 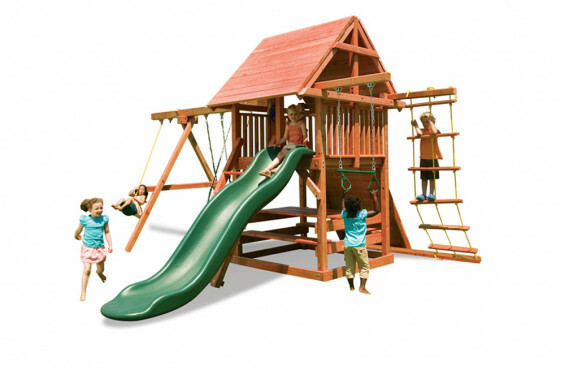 The natural properties of Redwood provides a beautiful and long-lasting finish that is completely resistant to rot and decay. 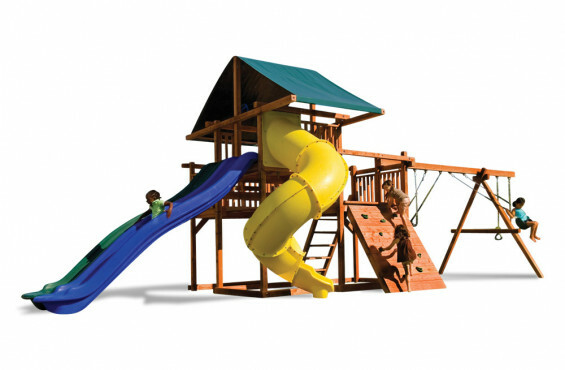 Next, we use recessed hardware and round off all edges to eliminate uncessary cuts and scrapes. 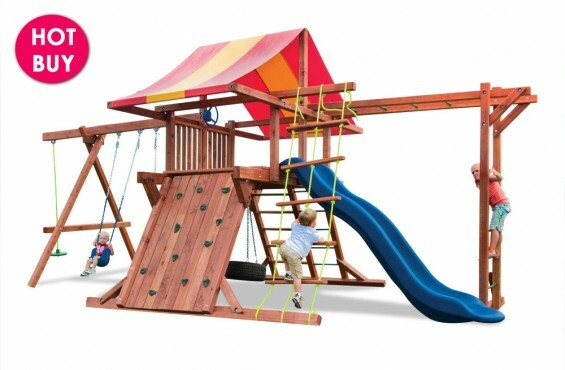 In addition, as children gracefully swing to new heights, the plastisol coated chains will keep little fingers safe. 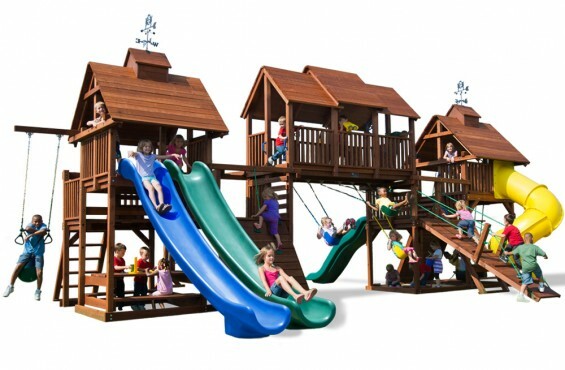 At the end of a stressful day, you can sit back and relax as you watch your children have endless amounts of fun. 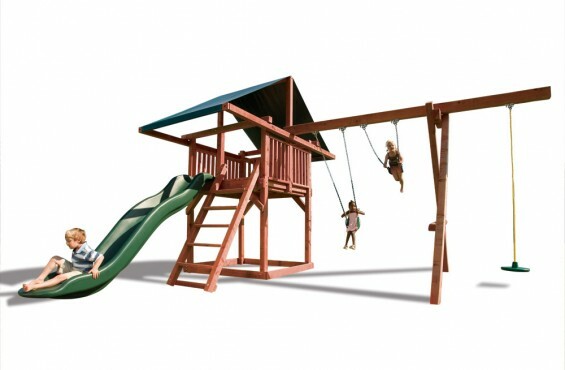 We can also install redwood playsets for you too! Play Deck: 60-84 in. 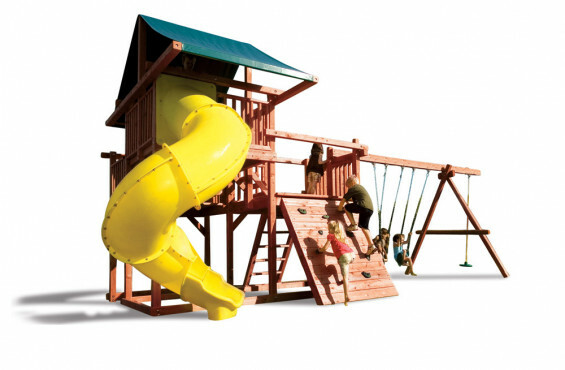 high, 25 sq. 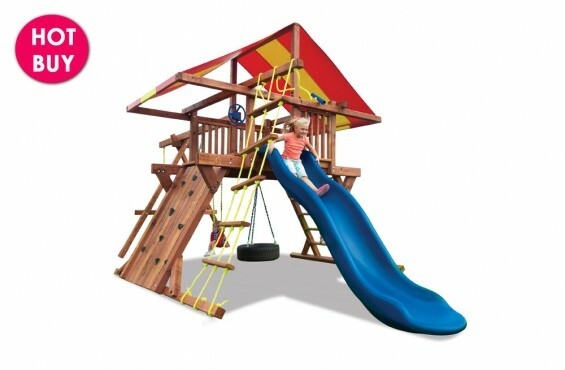 ft. – 160 sq. ft.
Made in the U.S.A. Hand-crafted with pride in the U.S.A.